The Continental Carbon plant sits on the southern outskirts of Ponca City, Okla. Residents blamed the plant, which produces a black dust known as carbon black, for polluting their city. A biker rides through downtown Ponca City, Okla. After 726 complaints and close to $20 million in settled lawsuits against Continental Carbon, there are very few reports of black dust tainting the town. Karen Howe's driveway is all that remains of her former home. Continental Carbon bought her home and many others, and tore them down after a settlement was reached. Karen Howe lived in a neighborhood next to Continental Carbon, where she says her daughter couldn't play outside because the carbon black aggravated her allergies. Jesse Beck, the environmental manager for the Ponca tribe, helped with the tribe's lawsuit against Continental Carbon. Dan Jones, a Ponca tribal official, went with the union to Taiwan during their fight against Continental Carbon over the pollution that was covering their town. "I was just real excited and happy about it because we had more space and the kids would've had their own rooms," Howe recalls. She didn't pay much attention to the neighbor across the fence, the Continental Carbon Co., and its industrial complex of pipes, storage tanks and smokestacks. Continental Carbon produces a fine, black powdery substance called carbon black, which the Centers for Disease Control and Prevention lists as a potential human carcinogen. It's used to strengthen tires and other rubber products, and as a pigment in inks. It also spreads easily in open air. Prolonged exposure, the CDC says, can cause heart and lung problems. Howe moved into her new home 25 years ago, four years before a Democratic Congress and Republican President George H.W. Bush bolstered the Clean Air Act. The amendments targeted nearly 200 toxic chemicals fouling the nation's air and promised sharp reductions in cancer, birth defects and other ailments blamed on air pollution. But as Howe was about to discover, and as NPR and the Center for Public Integrity documented in a joint investigation, communities across the country continued to struggle with serious air pollution problems and, in some cases, state and federal regulators failed to quickly or effectively protect them. Today, more than 1,600 chemical plants, oil refineries, cement kilns and other facilities, including Continental Carbon Co. in Ponca City, are considered "high priority violators" of the Clean Air Act by the Environmental Protection Agency. As of September, 383 facilities were on an in internal EPA "watch list" obtained by the Center for Public Integrity and NPR, which targets plants for special scrutiny because violations hadn't been addressed in a timely fashion by state and federal regulators. Continental Carbon was on the watch list in August. In 1993, the Oklahoma Department of Environmental Quality began tracking calls about emissions from Continental Carbon. Eighteen years later, 726 formal complaints are stuffed into 20 thick loose-leaf binders, which are stored at ODEQ's offices in Oklahoma City and were reviewed by NPR and the Center for Public Integrity. The binders chronicle a persistent and frustrating struggle with a substance that ruined Howe's sense of well-being in her new home. They also show that hundreds of other residents in the Ponca City area had the same experience. "They're supposed to protect people," Howe says of the ODEQ and EPA regulators whom she and others appealed to for help. "They're supposed to act on these violations of these bigger companies that put out this pollution, and right down to it, they didn't care, or something would have been done." Carbon black is like talcum powder. It spreads easily and far with even slight breezes. "I can put a tablespoon of carbon black powder in a 40-by-40 room and just blow it with an air conditioning vent, and it would literally coat everything in the room," says Dennis Hetu, the company's president. "It just goes everywhere." But none of it is supposed to get beyond the fence. Still, Howe and her neighbors lived for years with black powder tainting their homes, cars, lawns, pets and clothing. "You had to mop extra. You had to dust extra, and it just seemed like it just progressed," Howe recalls. "It just got worse and worse and worse." Howe's daughter Angela had the toughest time with the black dust, which seemed to aggravate her allergies. "She couldn't go outside," Howe says. "She rode her bike inside the house with training wheels because of the carbon black." Angela is 13 now and remembers when she was 5 or 6 watching from the window as other kids played outside. "Sometimes I thought it was unfair," she says, with sadness in her voice. "They're all outside having fun and I'm inside — just alone." But Howe says she couldn't move. "I had no place else to go," Howe explains. "We were minimum-wage people. And it was a home." Their neighbor Jeff Lieb lived in the house closest to the plant for more than 30 years. "My children grew up having to put up with carbon black. They have asthma," Lieb says, as he rattles off a list of problems familiar to his neighbors. "My grandchildren, when they'd come out and play, we'd throw their shoes away. It'd get on their clothes. It got on our dog." And it wasn't just the Poncas living in the shadow of the plant who suffered. Wilma and Wally Schatz are non-Indian farmers who live a mile west of Continental Carbon. "We [were] breathing that stuff and it was just covering us up," says Wilma Schatz, who keeps a salt shaker filled with the black powder in her laundry room so she can show it to visitors. The couple complained to the ODEQ. "Oh, [they've] been up here so many times," Wilma Schatz says. "And they would go over there and investigate." Then her husband interrupts: "That's as far as it went," he says. 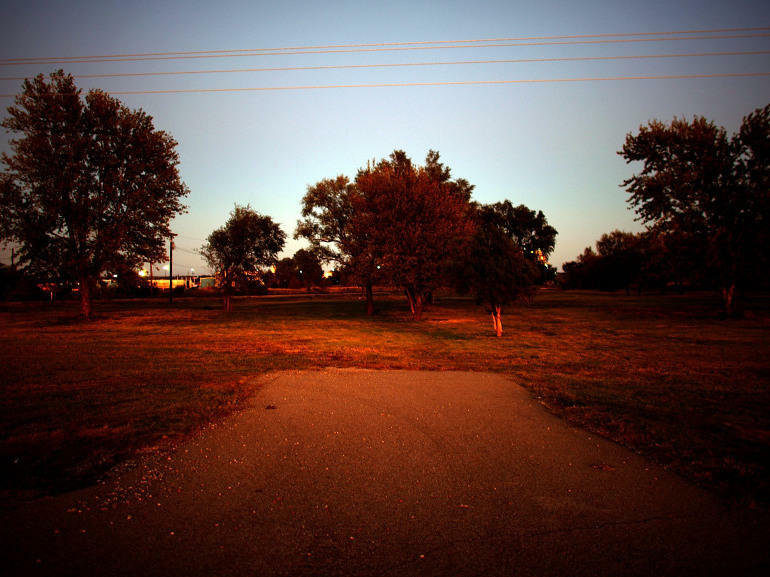 Even three miles from the plant, in downtown Ponca City in 2005, then-Mayor Richard Stone was receiving calls about school playgrounds, freshly painted houses and all the cars at a car dealership tainted black. But all he had to do to see the problem was walk out of City Hall and look at the fountain on the plaza and the city's cherished bronze statue of a homesteader on horseback. "You could rub your hand across here and it'd be just black," Stone recalls as he stands between the statue and the fountain. "And you'd rub your hands along the windowsills and it's going to be black." Continental Carbon sent out cleaning crews at times, but for 18 years the company insisted its plant was not the source of the powder. "I can't explain what was occurring and why they were calling," says Continental Carbon's Hetu, who has been with the company just seven months. "But I can tell you that all of the testing that was done showed that it was not engineered carbon. Whether it was mold or whether it was mildew or whether it was soot, it was not engineered carbon in 99 percent of the cases." NPR and the Center for Public Integrity sought those test results, but the company says they're part of sealed court documents and can't be released. The Ponca tribe and ODEQ found that testing for carbon black was inexact. "As soon as that black enters the atmosphere," explains Jesse Beck, the environmental manager for the Ponca tribe, "it starts being changed by the atmosphere to where it's not chemically the exact same [material] as the stuff that's in the plant." ODEQ declined NPR's repeated requests for interviews for this story, but in 2005, then-spokeswoman Monty Elder explained more about the testing difficulties in an interview with the public radio program Living on Earth. "As soon as carbon black leaves the stack ... it starts to stick together," Elder said. "It starts to stick to mold particles. It sticks to dust particles. It sticks to dog hair. ... It cannot be considered, by this test, as carbon black." ODEQ sent out inspectors in response to complaints, but the agency had a nearly impossible standard for strong enforcement responses. "We would have to send someone to the facility, and they would have to physically see dust coming off the facility," Elder explained in the 2005 Living on Earth interview. "And depending on weather conditions and depending on how close the local ODEQ office was to the facility ... we may or may not have seen dust coming off." Many of the complaints reviewed by NPR and the Center for Public Integrity reported clouds of dust escaping the plant at night and on weekends. But state inspectors responded in daylight and often days later. They repeatedly found exposed piles of carbon black at and outside the plant and residue at homes downwind. But they told complainants there was nothing they could do. In 2003, the state was so overwhelmed by complaints, it suddenly stopped sending out inspectors. EPA was called in because the federal agency is supposed to make sure ODEQ is enforcing the federal Clean Air Act. But EPA simply deferred to the state. EPA also declined interview requests for this story, citing an ongoing but unspecified federal enforcement investigation of Continental Carbon. "It just continued to get worse and worse and worse," recalls Howe. "So, finally, we put our feet down and [said], 'That's it. That's it.' 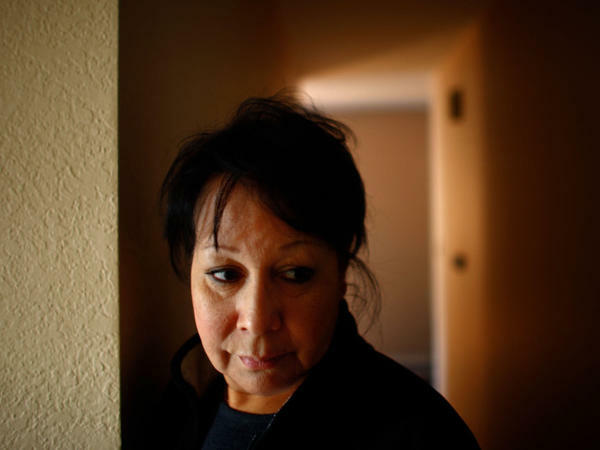 "
The Ponca tribe aligned with union workers at the plant who were locked out in 2001 in a benefits dispute. The alliance produced inside information for the tribe from workers like Dave Westerman, the union chief at the plant who has worked there for 30 years. "The company likes to do temporary patches, and temporary patches don't hold," Westerman says, also noting that filters break and storage bags leak. "There's many ways that black goes into the atmosphere, so that chain-link fence isn't holding anything in." Hetu, of Continental Carbon, responds during a tour of the plant in a golf cart, pointing out 10 blue tanks that look like grain silos. Each contains filters designed to capture and hold carbon black. "We have to collect all those dust particles and we collect them to the tune of several hundred thousand pounds a day," Hetu explains. "If it gets out then we're not selling that material to anybody." Hetu adds that the company has spent $10 million to make sure it collects as much carbon black as possible. But he also acknowledges mishaps at times in which leaks occur. The alliance of the union and the tribe grew to include the non-Indian farmers also complaining about fugitive emissions. Environmental consultant Rick Abraham was hired to conduct an international effort to embarrass Continental Carbon. "I dig up the dirt on polluters, and clearly there were problems," Abraham says. "They were documented in the [ODEQ's] files, and yet those problems continued for years." 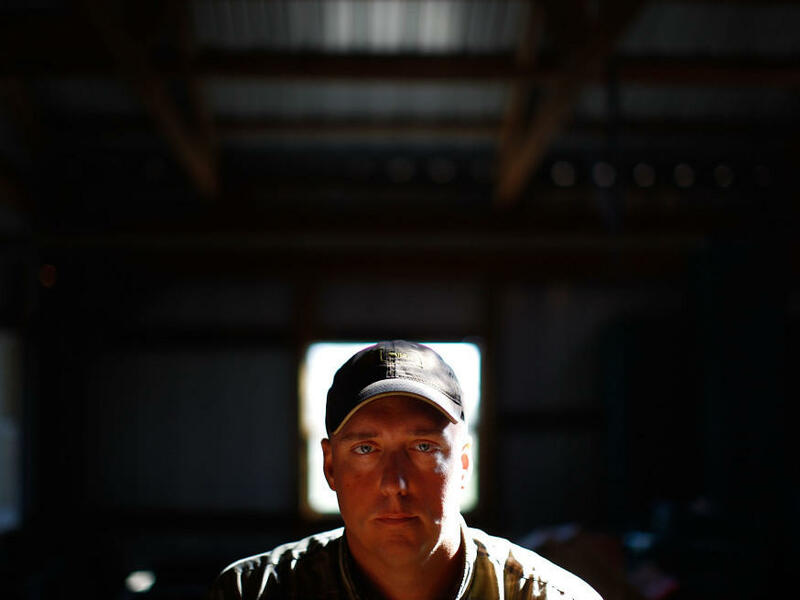 Abraham adds that the coalition of "mostly white farmers who had no contact with tribal members, who had no contact with the people who work in the plant" proved to be an unexpected and powerful force. "You had all these people who really didn't work together, and they all came together," he says. In 2002, farmers, union workers and members of the Ponca tribe joined together for a sit-in at ODEQ's offices in Oklahoma City. A year later, they staged a protest march at the plant. And in March of 2004, they rallied at the state capital. Three months later, union workers and tribal members flew to Taiwan for a 2004 stockholders meeting of Continental Carbon's parent company. The union protested with a hunger strike. Ponca tribal official Dan Jones returned from Taiwan with stunning photographs of the company's carbon black plant there. "It's beautiful. It's clean. They have gardens throughout the whole thing," Jones recalls. "There's no fugitive emissions at all." The photographs fueled anger at home. Pressure built on the company and the state, which suddenly resumed inspections in response to complaints. By the end of the year, the company ended the union lockout and agreed to upgrades at the plant. But complaints about emissions continued to pour in. In 2005, fed up, the city, the tribe, the farmers and others began filing lawsuits against Continental Carbon. "We're not going to let anybody pollute our city in such a way that we're harming our citizens," says Stone, the former mayor. A few months later, a similar lawsuit involving a Continental Carbon plant in Alabama resulted in a guilty verdict and a payout of close to $20 million. The company soon began to settle the Ponca City cases. By the end of 2009, it had agreed to settlements reaching another $20 million combined, but it did not accept responsibility. "Rather than fight and litigate it for years and years and years, we chose to pursue a closure so that we can move on as a community partner," says Hetu. 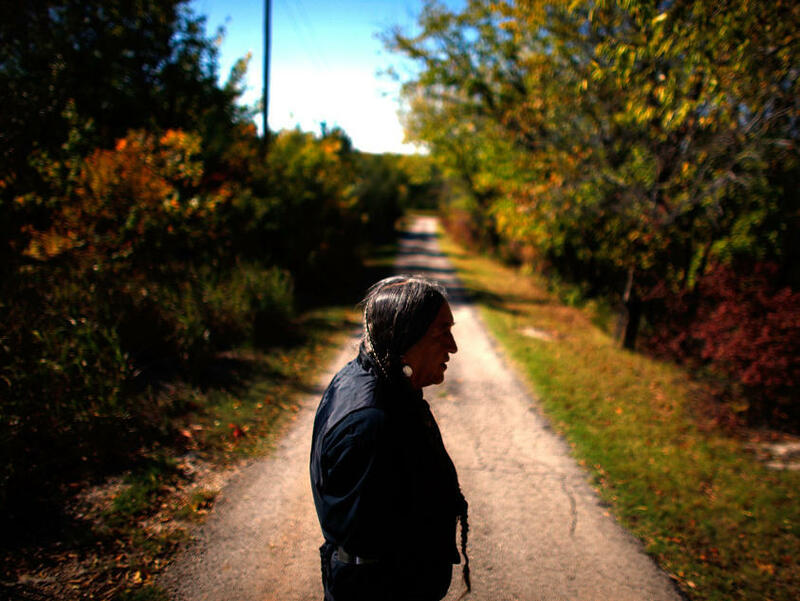 Today, grass and trees are all that remain of the neighborhood where 11 Ponca families once struggled with a pollutant, a company and state and federal regulators who were supposed to protect them. Continental Carbon bought and tore down the homes. Some neighboring farmers also sold out, and negotiations continue with others. "I would say it's cleaner now," says Beck, of the Ponca tribe, as he points to black powdery patches in the dirt. "These streaks that you see along the railroad tracks were much darker and much bigger back five, six years ago." Complaints have plummeted. There were only six last year. In written responses to questions, ODEQ says it spent considerable time and resources investigating complaints. 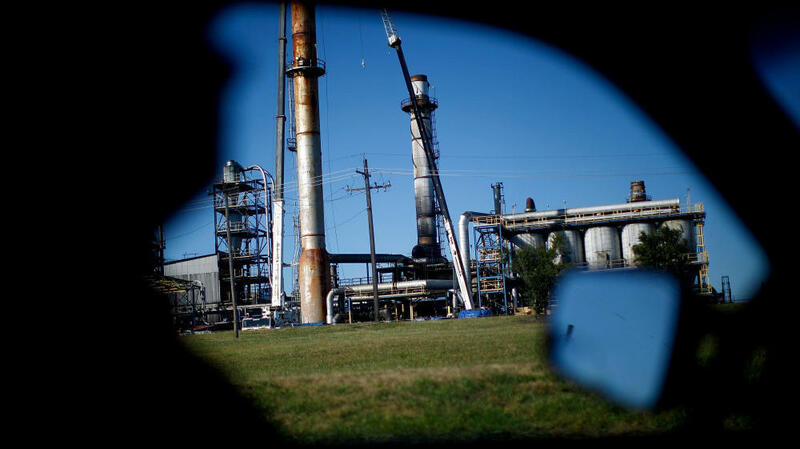 In 2006, with multiple lawsuits pending, the agency decided to take strong action even if inspectors didn't witness carbon black leaving the plant. It levied more than $25,000 in fines and prompted fixes costing close to $200,000. But it also took more than 13 years, more than 700 formal complaints, a union lockout, sit-ins and protests in Oklahoma and Taiwan, and lawsuits and settlements of close to $20 million, before life downwind did not involve daily struggles with black powder. 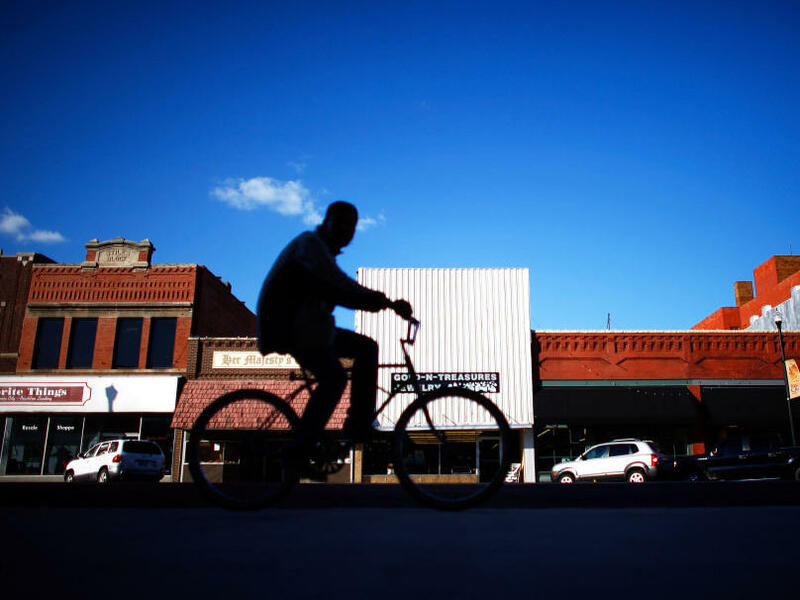 On the other side of Ponca City, in a neighborhood far from Continental Carbon, Howe embraces a normal life. "I'm just glad that the kids are out of that pollution," she says, "and [that] we're living somewhere else where they can ride their bike[s] in clean air." And we begin this hour with a join investigation by NPR and the Center for Public Integrity. It found weak enforcement of the Clean Air Act. There are currently more than 1,600 plants in the U.S. labeled high priority violators. Of those, the EPA keeps 400 facilities on a watch list. We're going to take you now to one community located downwind from one of these polluters. It's in Ponca City, Oklahoma, where hundreds of people spent nearly two decades trying to get regulators to protect them. NPR's Howard Berkes has their story for our series, "Poison Places." HOWARD BERKES, BYLINE: This is a story about people taking matters into their own hands when regulators seemed unwilling or unable to help them. JESSE BECK: Almost all the homes have little children. Almost all the children had lung problems. BERKES: Jesse Beck pulls his flatbed truck off the highway outside Ponca City, Oklahoma, and onto a grassy field framed by tall leafy trees. Beck is the environmental manager for the Ponca Indian tribe and this is where 11 Ponca families once lived. BECK: Anytime we tried to contact the company, they would essentially refer us to a lawyer. It was not a friendly relationship at all. BERKES: The company is Continental Carbon and it sits just across railroad tracks and a chain-link fence in a maze of smoke stacks, tanks and pipes. The plant produces a fine powder called carbon black, which is used to strengthen tires and other rubber products. It's also a potential carcinogen and can cause heart and lung problems. None of it is supposed to get beyond the fence. DENNIS HETU: Well, everything they found is consistent with mold, consistent with soot, consistent with diesel exhaust fumes. BERKES: Dennis Hetu is Continental Carbon's president. He just joined the company seven months ago, so he missed the 18 years with more than 700 formal complaints against his Oklahoma plant. NPR and the Center for Public Integrity reviewed those complaints. Jeffrey Lieb lived closest to the plant for 30 years. JEFFREY LIEB: So my children grew up having to put up with carbon black. They have asthma. My grandchildren, when they'd come out and play, we'd throw their shoes away. It would get on their clothes. It'd get on our dog. BERKES: Karen Howe moved in more than 20 years ago. Her daughter Angela had the toughest time. KAREN HOWE: She rode her bike inside the house with training wheels because of carbon black. BERKES: The black dust seemed to aggravate Angela's allergies so she watched from a window as other kids played outside. ANGELA HOWE: Sometimes I thought it was unfair. And they're all outside having fun and I'm inside just alone. BERKES: Why did you stay there? K. HOWE: I had no place else to go. We were minimum-wage people, workers, and it was a home. BERKES: The black powder drifted a mile to the west to the farm of Wilma and Wally Schatz. WILMA SCHATZ: We was breathing that stuff. It was just covering us up. And it was just day in and day out. BERKES: Did you complain to the State Department of Environmental Quality? WALLY SCHATZ: That's as far as it went. BERKES: You mean, nothing resulted from your complaints. WALLY SCHATZ: No, not one - nothing. BERKES: And even three miles away in downtown Ponca City in 2005, the mayor at the time was getting calls about school playgrounds, houses and cars tainted black. Richard Stone found the substance outside city hall on a treasured fountain on the plaza and a bronze statue of a homesteader on horseback. RICHARD STONE: Which is a very expensive piece of statuary. And you could rub your hand across here and you'd come up and it'd be just black. The same thing is true with our fountain and you'd rub your hands along the windowsills and it's going to be black. BERKES: Continental Carbon sometimes sent out cleaning crews. But throughout the entire 18-year ordeal, it continued to deny that its Oklahoma plant was the problem. Again, company president Dennis Hetu. HETU: I can't explain what was occurring and why they were calling, but I can tell you that all of the testing that was done showed that it was not engineered carbon. Whether it was mold or whether it was mildew or whether it was soot, it was not engineered carbon in 99 percent of the cases. BERKES: NPR and the Center for Public Integrity sought those test results, but the company says they're part of sealed court documents and cannot be released. Hetu takes me on a tour of the plant in a golf cart pointing out 10 blue tanks that look like grain silos, each containing filters designed to capture and hold carbon black. HETU: We have to collect all of those dust particles and we collect them to the tune of several hundred thousand pounds a day. If it gets out, then we're not selling that material to anybody. BECK: It's almost impossible to prove. BERKES: Says the Ponca tribe's Jesse Back. BECK: As soon as that black enters the atmosphere, it starts being changed by the atmosphere to where it's not chemically the exact same as the stuff that's in the plant. BERKES: Carbon black particles adhere to mold, dust and animal hair, according to the Oklahoma Department of Environmental Quality so they don't test as pure engineered carbon black. DEQ, by the way, had a nearly impossible standard for strong responses to complaints. The agency declined NPR's repeated request for interviews, but its approach was explained in 2005 by spokeswoman Monty Elder on the public radio program, LIVING ON EARTH. MONTY ELDER: If people called and said, there's dust coming off the plant, we would have to send someone to the facility, and they would have to physically see the dust coming off the facility. And depending on weather conditions and depending on how close the local DEQ office was to that facility to get there, we may or may not have seen dust coming off. BERKES: In fact, many of the complaints reviewed by NPR and the Center for Public Integrity reported clouds of dust escaping the plant at night and on weekends. But state inspectors went out in daylight and often days later. They repeatedly found exposed piles of carbon black at and outside the plant and residue at homes downwind. But in 2003, the state was so overwhelmed by complaints, it suddenly stopped responding. Soon there were more complaints than ever. Karen Howe. K. HOWE: They're supposed to protect people. They're supposed to act on these violations of these bigger companies that put out this pollution. And right down to it, they didn't care, or something would have been done. BERKES: The Environmental Protection Agency was called in because EPA is supposed to make sure Oklahoma regulators enforce the federal Clean Air Act. But the agency simply deferred back to the state. EPA also declined interview requests for this story, citing an ongoing but unspecified federal enforcement investigation involving Continental Carbon. K. HOWE: It just continued to get worse and worse and worse. So finally, we put our feet down and then that's it. That's it. BERKES: So the Ponca tribe aligned with union workers at the plant who were involved in a long labor dispute over benefits. They were locked out in 2001. The tribe gained access to inside information from union chief Dave Westerman who has worked 30 years at Continental Carbon. DAVE WESTERMAN: The company likes to do a lot of temporary patches. Temporary patches don't hold. BERKES: And filters break, storage bags leak. WESTERMAN: There's many ways that black goes into the atmosphere, so that chain-link fence isn't holding anything in. BERKES: The union gained a powerful issue and tactic. It could embarrass the company as a major polluter and it staged an international campaign. Environmental consultant Rick Abraham was hired to bring the union, the tribe and the farmers together. RICK ABRAHAM: I dig up the dirt on polluters, and clearly there were problems. They were documented in the agency's files, and yet these problems continued for years. BERKES: There was a sit-in a state offices, a camp-out at the state capital and a march to the plant. There was even a trip to Taiwan complete with a hunger strike for a 2004 stockholders meeting of Continental Carbon's Taiwanese owner. Ponca tribal official Dan Jones brought back stunning photographs of the company's carbon black plant in Taiwan. DAN JONES: It's beautiful. It's clean. They have gardens throughout the thing. There's no fugitive emissions at all. And when I came back, you know, and saw the condition the state government was allowing and the federal government was allowing this plant to be ran on American soil, my reaction was shut it down until you can run it like the plant that's being ran in Taiwan. BERKES: Pressure built on the company and the state, which decided to respond to complaints again and to stage surprise inspections. By the end of the year, Continental Carbon ended the union lockout but complaints continued to pour in. Fed up, the city, the tribe, the farmers and others downwind hauled the company into court with filing lawsuits. Former Mayor Richard Stone. I felt very strongly that we needed to take a strong stand on getting it taken care of. We're not going to let anybody pollute our city in such a way that we're harming our citizens. In 2005, Continental Carbon lost a similar lawsuit involving its plant in Alabama and paid out close to $20 million. Settlements soon began in the Ponca City cases, reaching another $20 million combined. The last settlement was just two years ago. The company did not admit wrongdoing, notes Dennis Hetu. HETU: We chose to make a community-based decision to rather than to fight it and litigate it for years and years and years, we chose to pursue a closure so that we can move on as a community partner. BECK: I would say it's cleaner now. These streaks that you see along the railroad tracks were much darker and much bigger back five, six years ago. BERKES: The Ponca Tribe's Jesse Beck stands where 11 brick Ponca homes once stood, where 11 families once struggled with a substance, a company and state and federal regulators who were supposed to protect them. Continental Carbon bought out and tore down their homes. Some neighboring farmers also sold and negotiations continue with others. Complaints are way down. There were only six last year. Karen Howe moved to the other side of Ponca City where she now embraces a normal life. K. HOWE: And I'm just glad that the kids are out of that pollution and living somewhere else where they can ride their bike in the clean air. You know, and sweat normal sweat. And if they get dirty, then they have dirty knees, not black knees. BERKES: The Oklahoma Department of Environmental Quality says, in written statements, that it spent considerable time and resources investigating complaints. It bolstered inspections when complaints increased. It eventually decided to take strong action, even if inspectors did not see carbon black leaving the plant. And it levied a total of $25,000 in fines. But it took more than 10 years, 700 formal complaints, a union lockout, sit-ins and protests in Oklahoma and Taiwan, and lawsuits and settlements of close to $20 million. RAZ: Our story was produced by Sandra Bartlett. At npr.org, you can find more from our "Poisoned Places" series including an interactive map to identify polluters where you live, their regulatory track record and potential health risks.